The image of the world order is undergoing radical changes today, as the world of the future is being shaped under the influence of global conflicts. 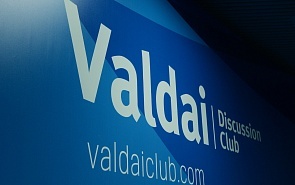 The 14th annual meeting of the Valdai Discussion Club, which will take place on October 16-19 in Sochi, is tasked with analyzing the transformation of socio-political worldviews and outlining the contours of the future. 14th Annual Meeting of the Valdai Discussion Club. Creative Destruction: Will a New World Order Emerge from the Current Conflicts?